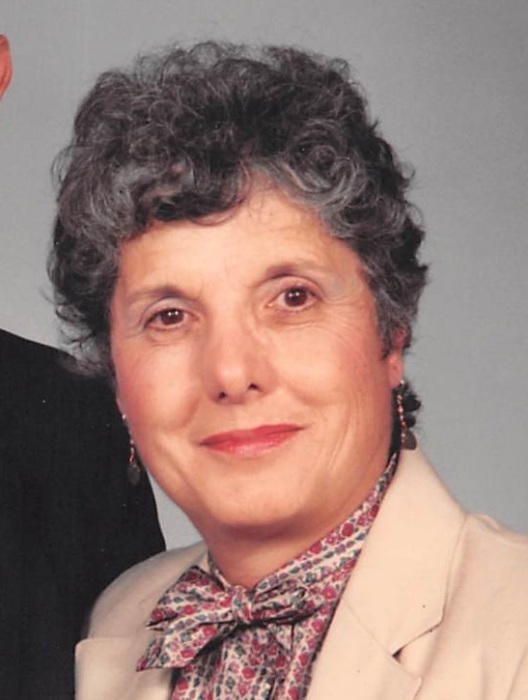 Helen Atamian of Wilbraham passed away peacefully at Mercy Hospital on January 11, 2019, surrounded by her family of loved ones. Born in Newton, MA in 1924 to Berguhi and Setrag Germagian, Helen was Valedictorian of Northbridge High School, class of 1942, and an honor student in Latin. She went on to graduate from Bryant College with a medical secretarial degree. Helen had a loving marriage of 56 ears to Dr. Charles Atamian, raising four daughters in Longmeadow, MA where she resided for 42 years. At that time, she was an avid master gardener. Her creativity and passion for gardening was reflected in her bountiful array of flowers and vegetable gardens. A talented cook, her varied cuisine was influenced by her Armenian heritage and the garden she so lovingly tended. She explored a variety of arts activities from needlework to painting and flower arranging. Her daughters felt her hands must be magic as she transformed natural objects into works of art. Helen volunteered throughout her lifetime, in the Springfield Garden Club, the farmer’s market and the Mercy Medical Center Auxiliary. Helen and Charles traveled the world and in 1991 visited Armenia participating in volunteer work. For over 40 years she was a member of the First Church of Christ in Longmeadow where she sang in the choir. Helen was an enthusiastic swimmer at the Wilbraham YMCA almost up until her passing. She was an outstanding role model for her children, living a healthy, creative and active lifestyle into her 95th year. Her presence will be greatly missed. Helen is survived by her daughters Carol Crabtree of Manchester, CT, Jill Fitzgerald of Granby, MA, Jan Atamian of Lake Pleasant, MA and Cheryl Wentworth of Enosburg Falls, VT, five grandchildren, Noel Crabtree, Sarah Wentworth, Jonathan and Elizabeth Fitzgerald, Marisol Duplisea and 1 great granddaughter Jissel Rivera. Services will be private at the convenience of the family. Wilbraham Funeral Home is in charge of the arrangements. Memorial donations may be made to the Sister Caritas Cancer Center, c/o Fund Development, 271 Carew St., Springfield, MA 01104.